Since the early 1970's Graham has spent his life encouraging, supporting and developing people in leadership and management roles. Over that period he has worked in leadership roles in community-based youth work, management roles in government and private enterprise and has directed a Leadership, Coaching and Training Consultancy since 1984. He sees this as a calling and his vision has been to assist in unlocking the potential that lives within people that leads to an effective and satisfying way of being. In short, his commitment has been to help people to learn rather than teaching them. Graham has had extensive experience in the Training and Development field. This experience started in the field of Youth work where he was instrumental in developing strategic training and development for youth workers and young people and then, in the mid 1980's, he moved into the leadership, management and development consultancy field within organisations. His consultancy has three interrelated arms or services: Leadership development programs, Coaching and Facilitation services and a Training arm. Since the inception of the consultancy Graham has built up a formidable client base that includes small to large business enterprises, government organisations and 'not for profit' groups covering such sectors as health, human services, education and training, oil and gas, finance, mining and manufacturing. Since the mid 1990's there has been a clear bent toward leadership development and the powerful process of coaching. Today, within the scope of the 'three arms of the consultancy' up to two thirds of Graham's professional time is focussed on Executive Coaching (coaching leaders) within a wide range of organisations. 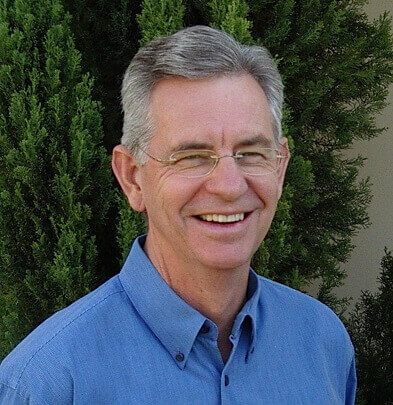 Since the early 2000's Graham has coached around 350 leaders (CEO's, General Managers and Branch Managers and other leaders) for a total of around 4000 coaching hours. He is usually coaching between 35 - 45 clients at any given time. Graham's coaching tends to move in and out of what he likes to call 'Outer Work' and 'Inner Work'. Outer Work being coaching for performance - to do with setting and achieving goals and choosing and executing actions. Inner Work relates to coaching for 'being' and is to do with beliefs, values, purpose, confidence, courage and centring. Graham holds an ontological coaching qualification, which has been instrumental in providing a coaching approach that assists in the exploration of 'way of being' and becoming an observer of one's self. In his role as a faculty member within Coach School for 10 years he has worked extensively within the ICF competencies and generic coaching model like the GROW model as well as NLP principles. This wide range of exposure to a range of coaching models and distinctions enhances the Graham’s ability to provide effective coaching for performance and way of being. Graham brings a healthy mix of genuine care, support, challenge and responsibility and a deep interest in his coaching. He has a growing range of coaching tools, distinctions, perspectives and observations that are shared with permission, dignity and compassion. Coach/mentor and examiner for Coach School's Certificate and ICF accredited Diploma programs. (2007 - ongoing).